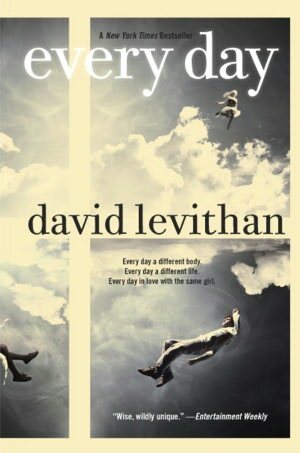 David Levithan wrote his new book for teens, but snagged adult imagination, too. Alfred A. Knopf/Random House Children’s Books, 336 pp., $16.99. Archetypes of myth have undergirded many a tale enjoyed by readers of all ages. Certainly George Lukas understood the power of myth when he created Star Wars. Lukas was greatly influenced by Joseph Campbell’s book, The Hero With a Thousand Faces, a phrase appropriately summing up David Levithan’s new book, Every Day. Levithan blurs gender in his Teen novel, which is easily a crossover to the Young Adult genre with appeal to Adults. He spins a tale of a shape-shifting teen called “A,” who meets a young woman named Rhiannon. The first chapter is “Day 5994,” which makes A about age sixteen and a half as the book begins. Each day, A inhabits a new body of a person the same age living in the same general vicinity of Maryland towns. The disorder with which A has always struggled is neither medical nor psychological, but rather A’s natural state. A has no control over this condition, involuntarily moving to a new body at midnight. Each night A effectively dies, yet is reborn the next morning as a different person during the forty days and forty nights of the story. Genders oscillate, races change, sizes vary, religions alter, personalities fluctuate — yet through each body, A’s voice remains compassionately constant. Levithan fashions a fledgling superhero as A tries desperately to understand powers as yet undiscovered, dwelling in a state assumed to be fate while avoiding attachments to his fly-by-night companions. And as singer-songwriter Stevie Nicks wrote in the lyrics of her tune Rhiannon: “Dreams unwind. Love’s a state of mind.” In her gorgeously haunting melody, first recorded by Fleetwood Mac, Nicks gave voice to ancient Welsh and Celtic lore about a shape-shifting woman named Rhiannon, wondering “Will you ever win…”? Levithan’s Rhiannon embodies several archetypes of the ancient Rhiannon myth. In Mabinogion lore, Pwyll loves Rhiannon, and together they fend off her unwanted suitor. Rhiannon is punished at some point in the old saga, and forced to inhabit various beings such as a horse. The Rhiannon of the modern-day novel Every Day cannot change shape, however. In Levithan’s tale, it’s the genderless A who does, while trying to pull Rhiannon away from her boyfriend, Justin. In Every Day, Levithan has refashioned certain of the aged story elements with a fresh twist. Thus, A has to work hard to convince Rhiannon that all these different people she begins encountering are actually the same individual inside. No matter which body A inhabits, A is never indifferent to the feelings of that person, responding with empathy to various situations in their lives. Learning to look past outward appearances is not a bad lesson for readers of any age, and Levithan employs both humor and creativity to highlight his theme. The book would be an excellent basis for discussion groups on such contemporary issues as sexual identity, race, body size, bullying, religious preferences, cultural differences, and suicide prevention. Readers might begin to wonder what present-day lore will be recounted by our descendants to their children ages and ages and ages from now. “It will always be the one, shape-shifting yet marvelously constant story that we find,” Campbell wrote, when looking at myth. Shakespeare made use of it, as did Ursula K. Le Guin, C.S. Lewis, and J.R.R. Tolkien in their fictional worlds — in addition to more recent series such as Harry Potter (J.K. Rowling) and The Hunger Games (Suzanne Collins). Levithan, in fact, was editor for the Hunger Games trilogy at Scholastic Press. In Levithan’s Every Day, the archetypal Shapeshifter Hero figure has a strong morality, a task, and ultimately an antagonist named Reverend Poole, who could be either an enemy—or a friend come to help. A’s hero costume is each day’s new body, which effectively cloaks A’s secret identity. A wears no distinctive identification letter, as have other superheroes like Wonder Woman and Superman. Nathaniel Hawthorne, of course, had already latched onto the concept of the letter “A” worn on the chest in The Scarlet Letter. Levithan has brought ancient myth to bear on contemporary life in a narrative exploring love within the ephemera of our existence. He fuses wit and pathos. It’s a tale well told. While certain sentences are eloquent, the novel is basically modern folklore rendered simply, creating a pull on the imagination. I’m not a Young Adult, but Levithan definitely kept me reading. He’s an inventive author. Will Every Day become a movie? Levithan collaborated with Rachel Cohn to write the novel Nick & Nora’s Infinite Playlist, on which the 2008 romantic comedy film of the same name was based. I long to know the backstory. Perhaps there will be a sequel explaining A’s origins. Who are A’s parents? Why is the mysterious Poole so interested in A? Are there really others like A? If so, will A ever find them? Perhaps there’s more to this tale than Levithan’s letting on in Every Day. Certainly anyone who has a story to tell could draw lessons on how to use the power of myth from reading this book. Lanie Tankard is a freelance writer and editor in Austin, Texas. 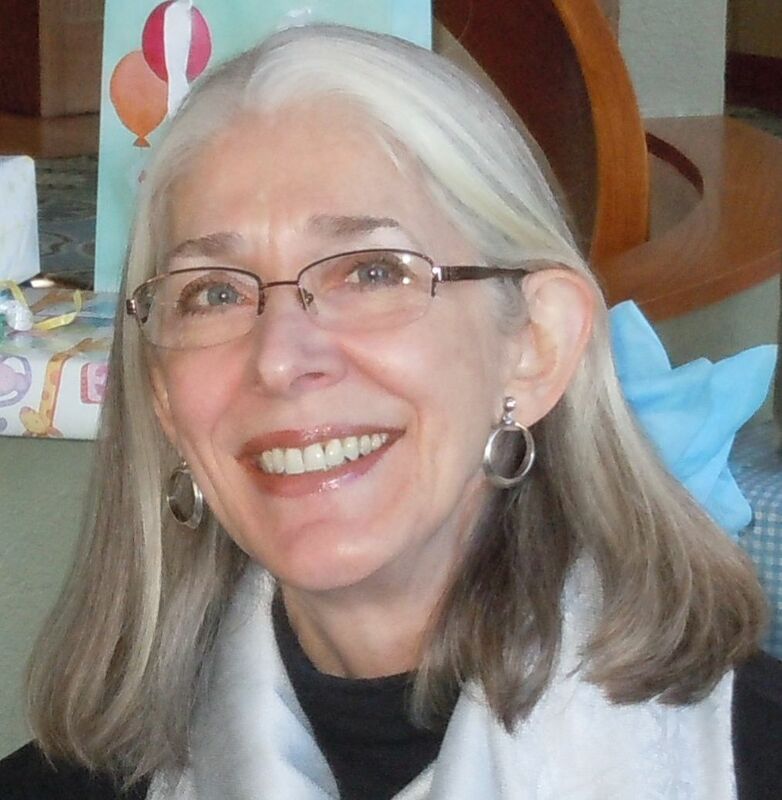 A member of the National Book Critics Circle and former production editor of Contemporary Psychology: A Journal of Reviews, she has also been an editorial writer for the Florida Times-Union in Jacksonville. Thanks, Lanie. I am betting this will be a movie. A series, actually! It sounds rich and complex enough to fascinate large audiences. Mil gracias. It certainly captured my imagination. Way to go, Lanie! You and Richard make a great team when it comes to writing about narrative. If you like shape-shifting sagas, there’s also Sheri Tepper’s “The True Game Series,” which has 3 books, then 3 more offshoot/background books about Peter’s (the main character’s) shape-shifting mother Mavin Manyshaped, then 3 more offshoot books about his wife-to-be Jinian. What a series that is! And Tepper has many, many other great fantasy novels out, often occupied with important societal issues, for both adults and young adults as a shared reading audience.